∟What Is an IE Addon? 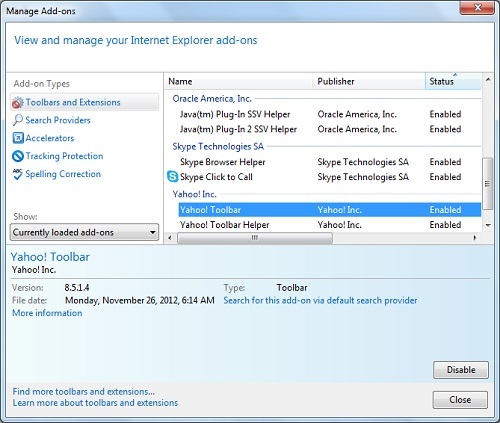 This section provides a quick introduction of IE (Internet Explorer) addon programs. IE addon can offer you nice tools, but it can also bring you problems. You need review each groups of addons and disable or remove some of them to avoid security and performance problems. ►What Is an IE Addon?